In this edition, a Taiwanese-inspired shaved snow spot expands to Mission Bay, a new Latin restaurant has begun renovations in Ghirardelli Square, and a new sushi joint quietly debuts South of Market. 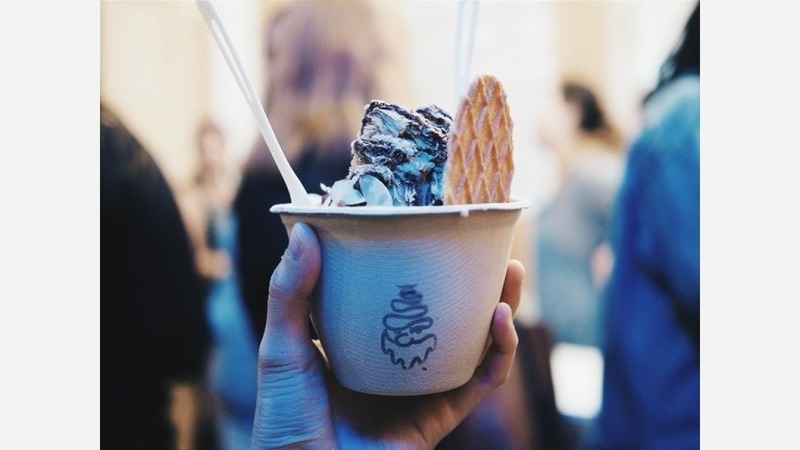 Powder, a specialty treat shop featuring a modern take on Taiwanese-style shaved snow, has opened its second location at Mission Bay's outdoor food park, Spark Social SF. With a flagship store in the Lower Haight, the shop been popping up at events like Off the Grid since 2016. To celebrate, the dessert spot is serving a selection of new flavors specific to its Spark Social SF location, like a vegan banana coconut variation and one called "Tropical Flight." Flavors made popular at its original location are also on offer, including black sesame, horchata, strawberry, and cereal. Powder also features three spiked offerings: passionfruit mojitos, pina coladas, and strawberry daiquiris made with Flor de Cana rum, available for happy hour on weekdays from 4 to 7 p.m.
Tipster Al M. reports that a new eatery, Pico Latin Street Food, is taking over the former Lori's Diner space at Ghirardelli Square, which closed late last year. There's not much information available on the new space as of yet, but "when it's done, expect to see Latin-inspired interior with festive colors," said Al. "As of now, it's under heavy construction," he added. There's a Type 41 Department of Alcoholic Beverage Control transfer to new owner application posted on the building, which allows for the sale of beer or wine at an eating establishment. The application also indicates the new restaurant is backed by a restaurant group called Delhi Darbar Inc.
As we reported in March, new sushi eatery EAT SUSHI was poised to take over the former OEC Japanese restaurant, which closed in 2017 after just over a year in business. Now that the new restaurant is currently in soft-opening mode, tipster Al stopped by to check it out and grab a bite to eat. On the menu, he said customer can expect an assortment of sushi and sashimi mainstays like maguro, salmon, hamachi and red snapper, along with "chef recommended" eats like truffle hirame (flounder), garlic shrimp and Kobe beef tataki. 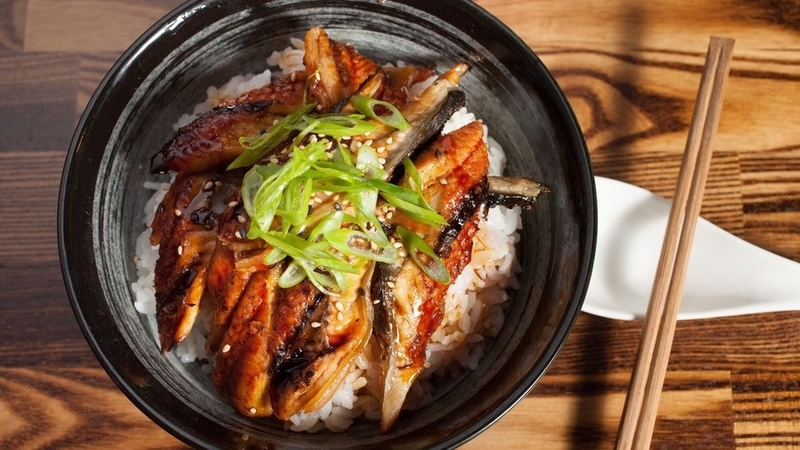 If you're in the mood for something a little different, there's a selection of ramen with Kobe beef, chashu or duck; and poke rice bowls with salmon, hamachi and unagi. According to its Yelp page, EAT SUSHI is open weekdays for lunch 11:30 a.m. - 2:30 p.m. and dinner 5-10 p.m. On weekends, the eatery is only open for dinner 5-10 p.m. Many thanks to tipster Al M!.